The 2nd Event of the Vienna Evaluation Network took place on April 12, 2018 at 3-4.30pm. The Society for Evaluation (DeGEval) set up a commission of experts to develop standards for evaluation (“Standards für Evaluation, first edition” 2001; 2nd edition in 2016). The process of the first edition made evident that the experts understood the term “evaluation” differently, and that many criteria for “evaluation”, regarded as central by some, were viewed as totally inappropriate by others. Alfred Uhl, as the expert in the commission who initiated the process to formally define the term “evaluation” despite internal resistance, will present the process leading to the final definition of the first and current edition of standards. Uhl will discuss important implications of such a definition and the ensuing methodological and ontological limitations evaluators face in their work. Alfred Uhl holds a PhD degree in Psychology from the University of Vienna. Since 2016 he is Deputy Head of the department “Competence Center Addiction” of the Austrian Public Health Institute (Gesundheit Österreich) in Vienna. From 1977 till 2009 he was senior scientist at the Ludwig Boltzmann Institute for Addiction Research, from 2000 till 2009 he was director of the “Alcohol Coordination and Information Centre (AKIS), from 2010 till 2014 he was research coordinator of the department “Addiction Research and Documentation” of the Anton Proksch Institute. Since the beginning of his scientific carrier his focus was epidemiology, policy research, evaluation and research methodology. 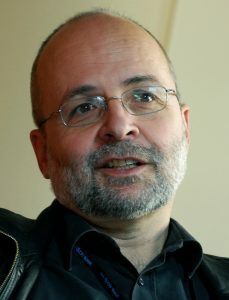 Parallel to his research work he taught statistics and research methodology at the Vienna University of Economics and Business Administration (1977 – 2009), is teaching Statistics at the Sigmund Freud Private University (since 2012) and taught prevention and evaluation in various Austrian Master courses. Alfred Uhl is board member on several international scientific journals, worked as a consultant for international, national, and local government bodies and was involved in more than 20 European research projects. Some of Uhl’s publications on evaluation can be found below. The presentation will last about 30 minutes. Thereafter the participants will have about 45 minutes to ask questions, discuss the topic, and exchange experiences. For anyone interested we can continue our conversation informally. WHERE: The venue is Berggasse 17/3, the third-floor conference room of the European Centre for Welfare Policy and Research. You cross the court and find the entrance right in front of you.